CLASS 08 No. 08757 Eagle worked its first general passenger service at the Telford Steam Railway (TSR) on March 31. It attracted enthusiasts from as far afield as Lincoln, Leeds and Bristol, and is seen departing Lawley Village. 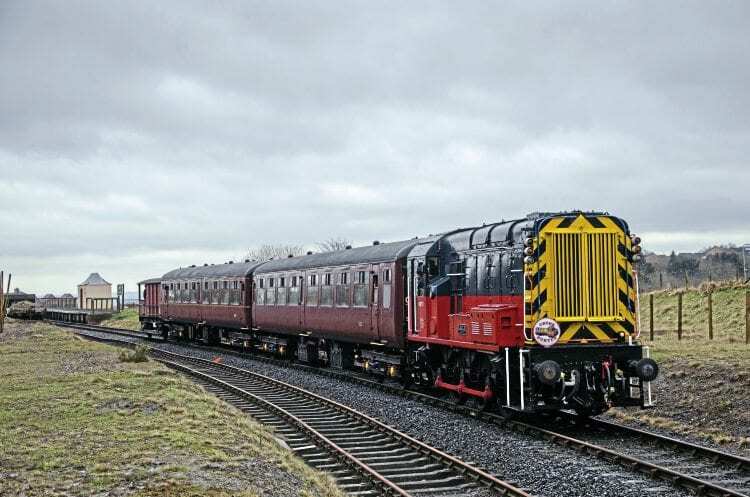 This loco was bought with the proceeds from the railway’s 2016 ‘Polar Express’ trains. It top-and-tailed with a steam loco on all the similar services in December 2017, following a repaint in RES livery. Unless booked on one of the ‘Polar Expresses’, which had sold out by August, it had not been possible to ride behind this loco on the TSR before.